Shockingly, it’s a decade since Steve did the first ascent of Rainshadow. 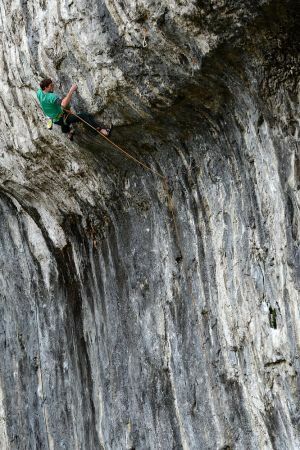 However, until Adam Ondra’s second ascent in 2011, few climbers – UK or overseas – had seriously committed to the job of repeating any of Steve McClure’s top routes. Ondra was clearly impressed with Rainshadow recording on his 8anu scorecard “Honestly one of the best climbs I have done…”. Ondra proved that Steve McClure’s routes could be repeated and now Jordan has shown that it’s possible for a Brit to get in on the action too. Of course, the race is now on for the next repeat in the series! Steve himself is really pleased with Jordan’s ascent although given he’s hard at work on yet another super-route above The Catwalk he’s not taking things easy. Not surprisingly, Jordan hasn’t been the only top climber in action and enjoying success above The Catwalk at Malham. Since the flag went down to signal the start of the 2013 season there’s been plenty of others trying hard routes. Without being too partisan about it, it seems to be the Sheffield-based climbers that have been putting in the hours and getting the ticks. 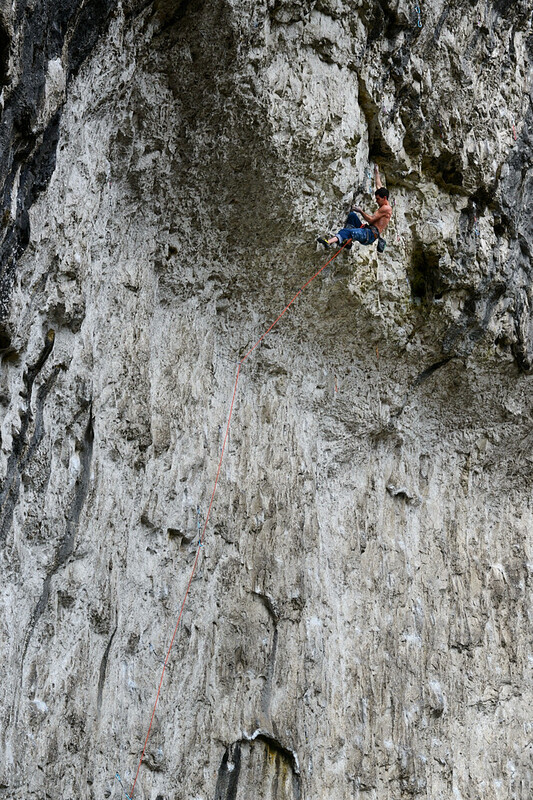 Ryan Pasqual has taken time out from trying one of Steve McClure’s other super routes, Mutation F9a at Raven Tor, to notch-up quick repeats on both Bat Route F8c and Power Ranger F8b+/c. Joe Cook, a Foundry quiet-man who has been busy pumping-up his scorecard over the last few years, has also gonnen his share of the ticks with Bat Route and Raining Bats and Dogs F8c. Joe’s slowly moving rightwards along The Catwalk – he’s now on Unjustified F8c.